Arrange submissions by date of submission? 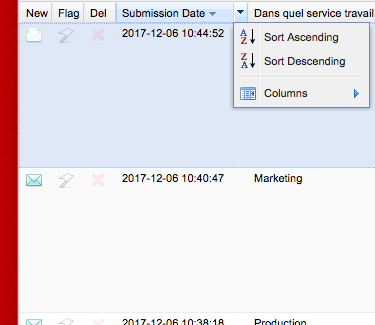 Just click the small arrow next to submission date column and choose how the date should sort. Let us know if you had something else in mind.